NEW YORK — December 18, 2018 — TradingScreen Inc. (TS), the all-asset class order and execution management system (OEMS), today announced that Agilon Capital (Agilon), a systematic hedge fund specializing in long/short corporate credit strategies, is now leveraging TradeSmart for FI as their OEMS. Agilon recently launched and is deploying TradeSmart for FI to manage their activity across fixed income, including IG Corporates, High Yield, CDS, Treasuries, and futures. Key differentiators for Agilon included TS’ open connectivity with the most extensive list of data providers and trading venues. “We are very pleased to be working with TradingScreen in our new venture. From the first demonstration, we recognized a product that has tremendous potential to be a leader in the evolution of the credit trading ecosystem. I have spent considerable time working with many of the leading electronic trading venues and believe TS to be one of the best-positioned OEMS platforms to deliver a true next-generation buy-side trader workstation that handles the comprehensive integration that is required. The team has continued to deliver on our expectations and displays a strong commitment and passion for innovation,” said Spencer Lee, Agilon’s Head of Trading, formerly the Head of Fixed Income Trading in San Francisco and Global Lead for Credit E-Trading for Blackrock. “We knew we competed against one of the largest EMS vendors in the industry and it’s clear that Agilon selected TradingScreen because of our ability to deliver very precisely on specific, bespoke client needs at a very competitive price. We are particularly looking forward to developing further venue and workflow functionality with Agilon to keep them at the forefront of Fixed Income execution,” said Paul Reynolds, TradingScreen Head of Fixed Income. For more information on TradeSmart for FI and how it provides comprehensive, neutral connectivity, data normalization, intelligent compliance, and reporting tools on a global scale, please visit: https://fixedincome.tradingscreen.com. Agilon Capital LLC is a Registered Investment Advisor based in San Francisco that specializes in systematic credit strategies. The firm’s flagship offering is a systematic Long/Short credit strategy that is market/duration neutral, US focused, and its portfolio includes Investment Grade and High Yield Corporate bonds, as well as single name Credit Default Swaps (CDS). The product is available to pensions, endowments, family offices and other institutional investors via managed accounts and the firm’s hedge fund. 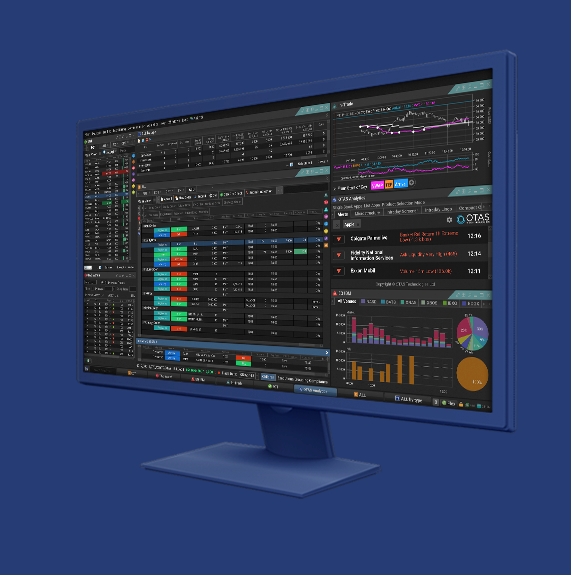 As the leading expert in SaaS-based technology for financial markets, TradingScreen (TS) technology improves access and fully automates workflows, resulting in greater efficiencies and lower costs for our clients. From our electronic trading platforms to our investment management solutions to our global financial market network, we are the industry’s most comprehensive technology suite available. Our trading and technology experts are connected and positioned around the world, enabling a “Follow the Sun” 24-hour, six-days- a-week support approach that literally never stops. And we’re constantly evolving within a complex, ever-changing marketplace to create sophisticated, customizable and accessible solutions no matter what your trading needs. For more information visit: www.tradingscreen.com.